NO. 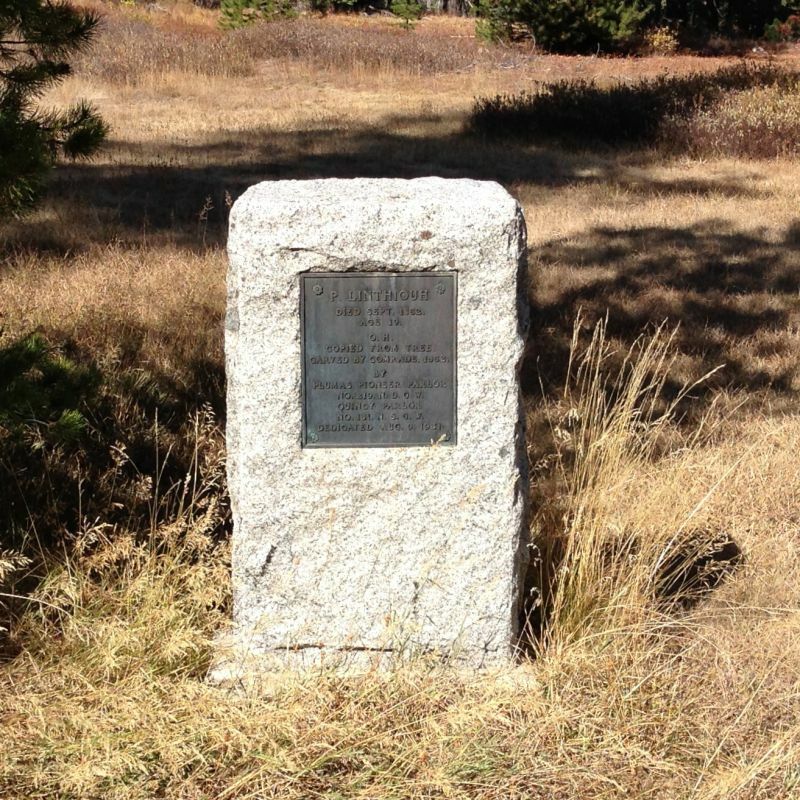 212 PIONEER GRAVE (GRIZZLY CREEK) - The legend, as told by the pioneers: 'The lad was returning to Marysville from a trip to the mines, he, having packed a trainload of provisions to the mines, was returning with gold dust. 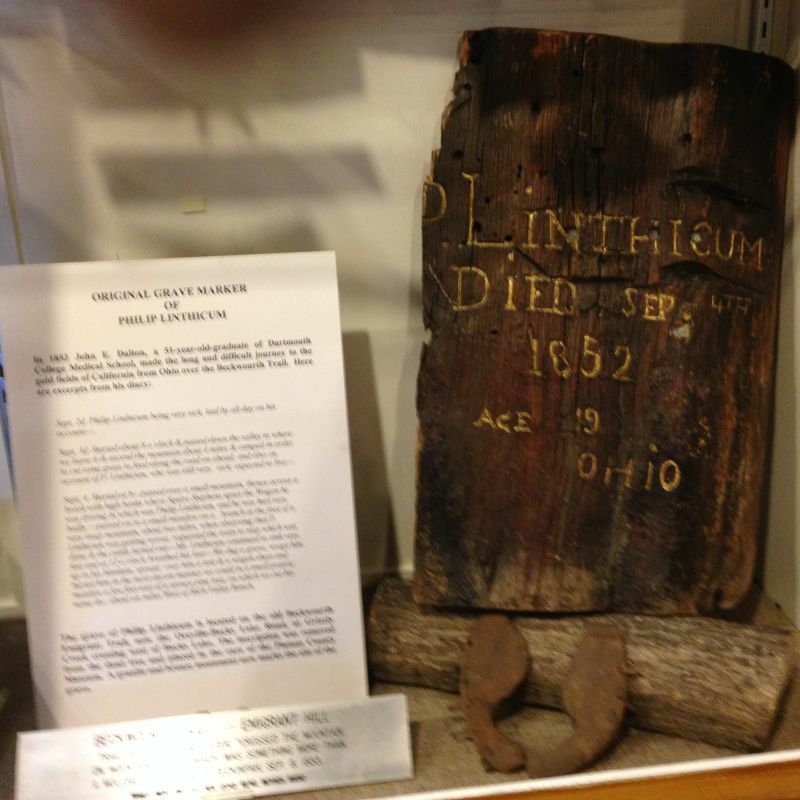 He was murdered and robbed. 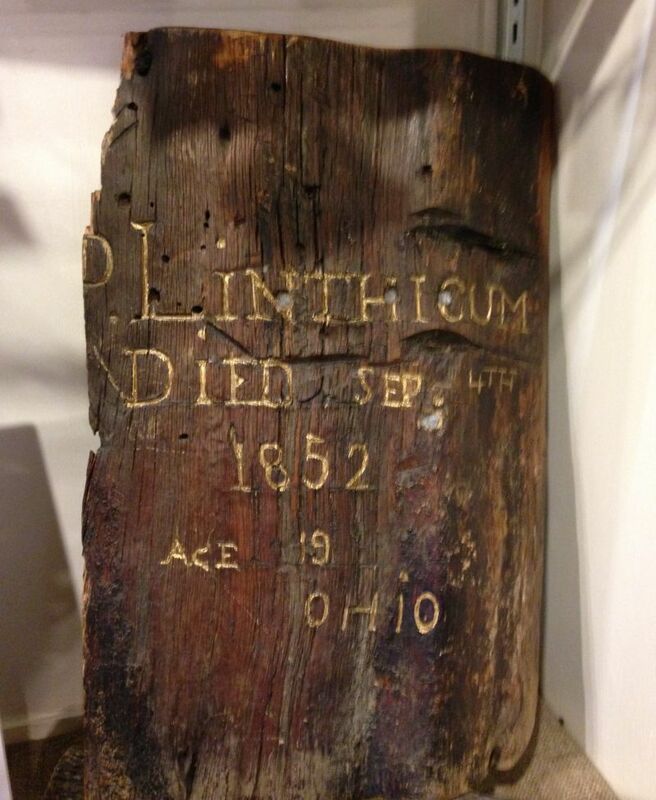 Later a comrade carved his name, age, etc., on a tree. 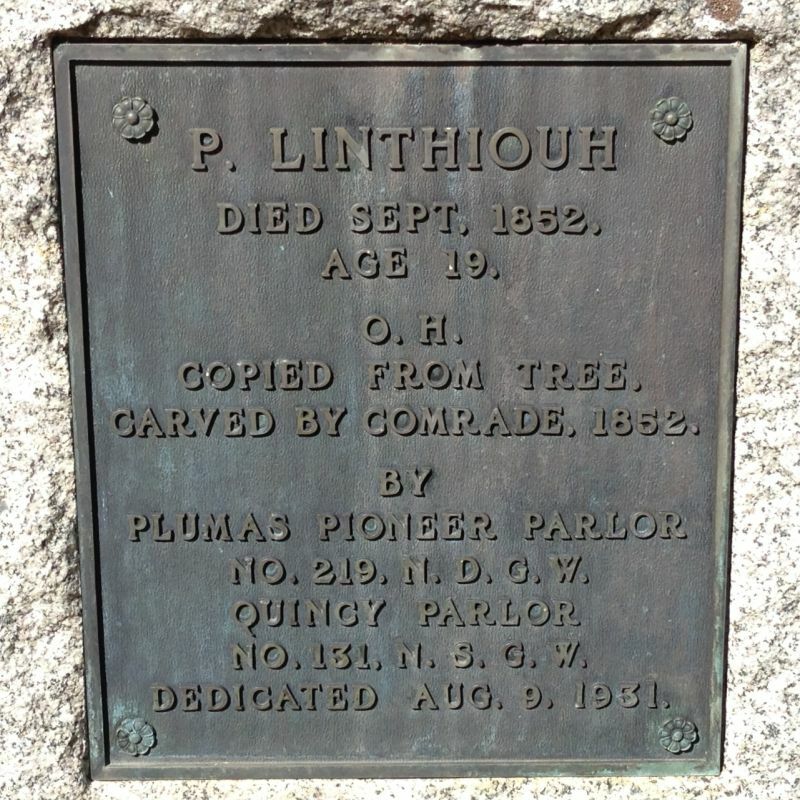 P. Linthiouh, died September, 1852, age 19. 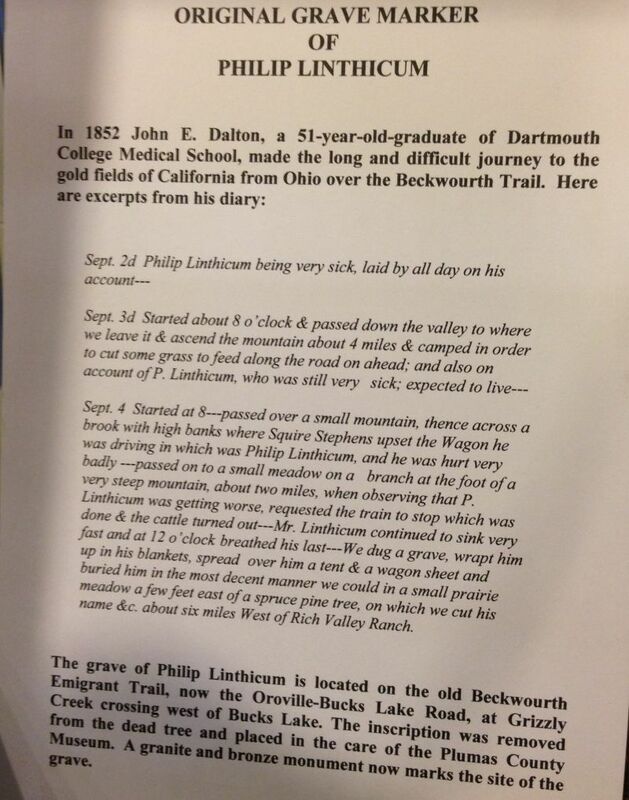 Bucks Lake Road Near Washboard Road. 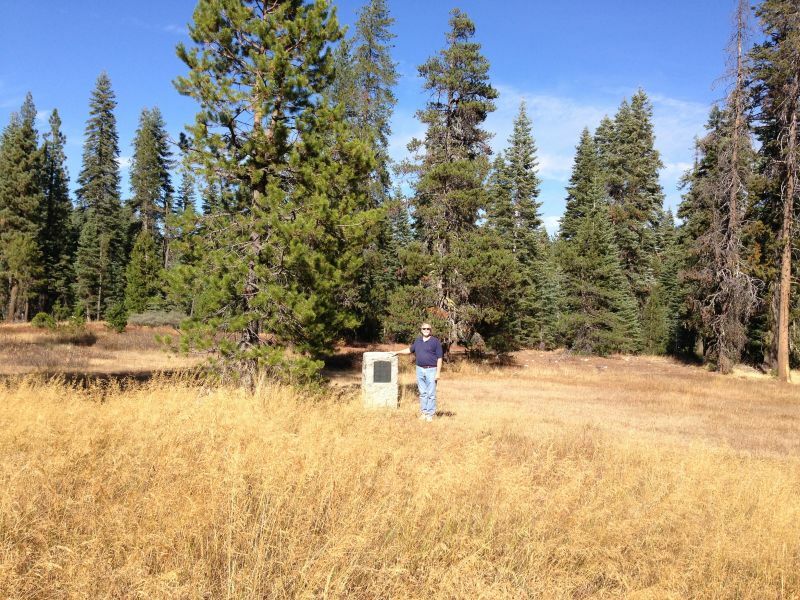 On north side of BucksLake Road, 1.3 miles east of Grizzly creek Campgrounds. 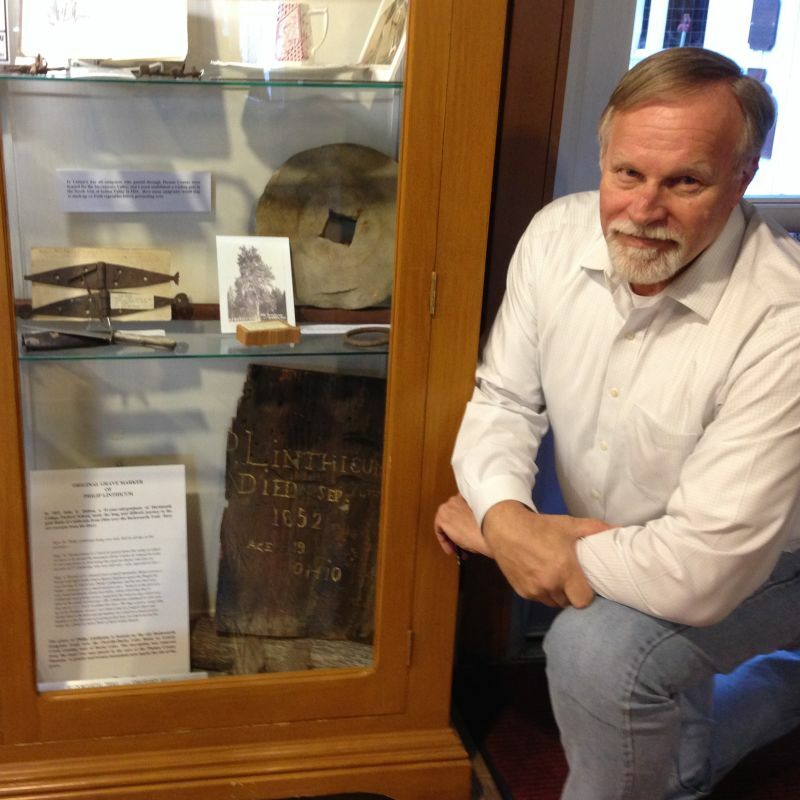 Paul at the Plumas County Museum directed us to a section of tree on display that was the original grave marker carved by John E. Dalton in 1852.